Leo Tolstoy famously wrote, “Happy families are all alike; every unhappy family is unhappy in its own way.” In David Vann’s novel Aquarium, Sheri and Caitlin, mother and daughter, are living lives of quiet desperation. Sheri knows this; Caitlin, only 12 years old, just knows they are poor. They live in a depressing, subsidized apartment near Seattle’s Boeing Airfield. Sheri is a dockworker at a local container port, a woman in a male-dominated field. Because they live out of the school district, Sheri delivers Caitlin to school long before it opens and picks her up at a nearby aquarium long after school closes for the day. There are two bright spots in Caitlin’s life, the aquarium and Shalina, her classmate who has just moved from India. Sheri’s only bright spot is Caitlin, but all her relationships are stained by anger. Nineteen years earlier her father deserted a 14-year old Sheri and her mother who was dying of cancer. She has never forgiven him. In this King Lear of a novel, a noir examination of family dynamics, there is a gathering point where the characters’ lives intertwine and, for good or ill, relationships must be worked out. This encounter sets a terrifying sequence of events into motion, nearly destroying the old man and the mother-daughter bond. As you might imagine, the old man is Sheri’s father who has come back to Seattle to watch over from afar his daughter and granddaughter. He hopes for forgiveness and redemption for his failures as a father and husband. Events cause Sheri to see her father for the first time in years. The results are cataclysmic. But, according to Caitlin, this was her mother’s “dry season, when she was more like a storm than a person, wind-blown dust, accelerating from somewhere sourceless and vast, and I knew to hide.” A long subsequent passage in which Sheri forces Caitlin to care for her as she cared for her mother is a potent piece of writing. It captures, as no report on the lives of the poor can, the debilitating sense of powerlessness that snares those without resources, those for whom there is no escape. It fully explains how complicated and angry Sheri’s feelings toward her father are. 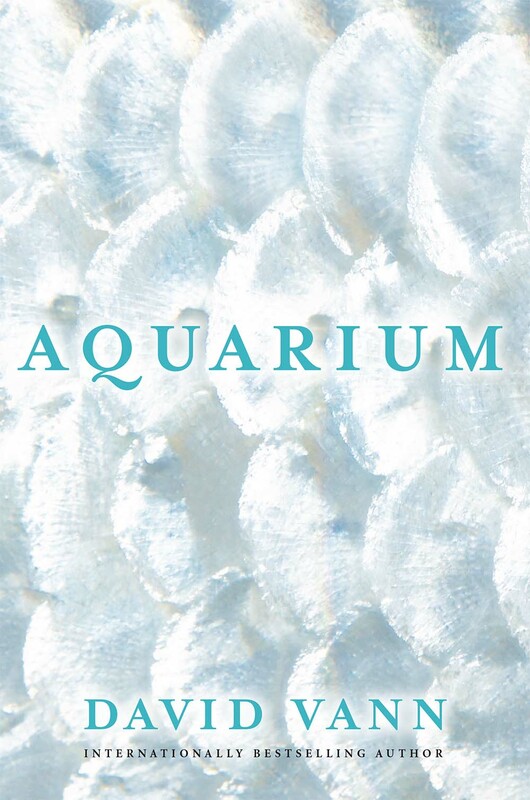 Aquarium is a dark and brilliant novel that exposes a life of the functioning poor yearning to become more successful, yet only one small slip away from disaster. It is a no-holds-barred picture of an American life and a bleak examination of the ties that bind families even through the most trying of times. Do not be dismayed by this dark description. Aquarium is also a novel about love, atonement, and forgiveness. The light at the end of the tunnel is not always an on-rushing train. Do not miss this spectacular novel for it is beautifully, breathtakingly written. David Vann is the author of six internationally acclaimed books. Less read in the states than in Europe, he was won multiple awards in France and Spain. A professor at the University of Warwick in England, he has taught at Stanford, Cornell (from which he holds degrees), and other universities. THANK YOU FOR REVIEWING BOOKS OF INTEREST..